Sabrina Palme, the Co-founder & CEO at Gartenzwerg, responded to our questions about Gartenzwerg. The idea sprouted in her head through her studies. Indeed, she first heard about some methods NASA was using to grow food without soil. This innovation caught her attention and she started to think more and more about it. After this, she found that hydroponics (a method of growing plants without soil, using mineral nutrient solutions in a water solvent) already existed for many years and a lot of people were building their own DIY hydroponic garden. 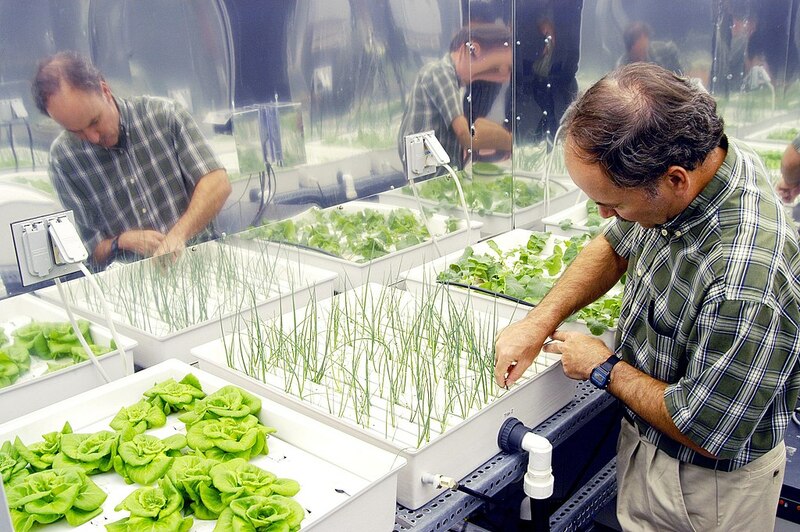 A Nasa researcher checking hydroponics gardens (lettuces, onions, and radishes). Find out more here. 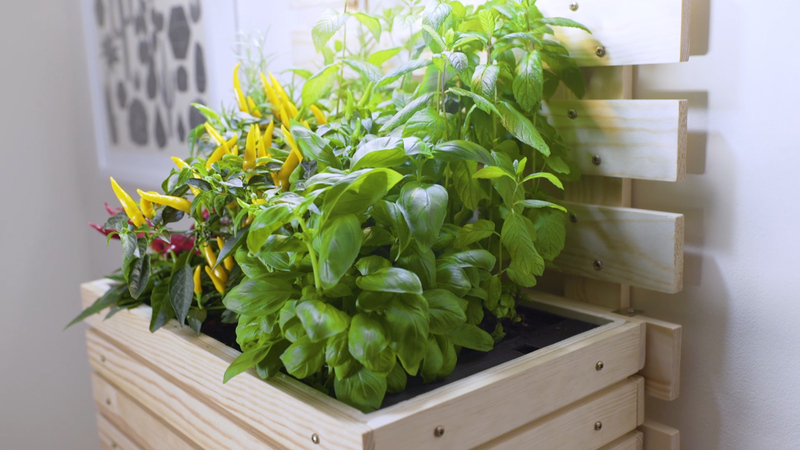 “However, I couldn’t find any ready-to-buy hydroponics garden that would fit my living environment at home, not even something easy to use and affordable. All I could find was components for DIY systems considerably expensive, big and with a design that I didn’t want to have in my home”, said Sabrina. This is how the idea of Gartenzwerg was born. Sabrina then met Andre, who became the co-founder and COO. The two were passionate about food and gardening, they started to evoke the project of building a hydroponic indoor garden where anyone could grow plants, fruits, and vegetables easily. The principal aim of their dreamed garden was that it could be easier for everyone to garden and grow food indoors. It’s “like having a personal farmer sitting on your kitchen table!”. The company produces some fully automated personal indoor garden that allows anyone to grow food or vegetables “from home effortlessly on the push of a button” says Sabrina. The little home garden is equipped with a wide range of sensors that allows the devices to understand it’s environment and adapt itself to reproduce the perfect conditions to perfectly grow the plant of your choice. LED smart lights: Those lights adjust their power to increase growth. Indeed, if Gartenzwerg is sufficiently exposed to sunlight, the LED smart lights diminishes. Temperature and humidity sensors: Those sensors will water the plants for you. It will prevent your garden to be thirsty or overwatered. pH sensors: This sensor is responsible for the quality of the water. With this, you ensure you that your plants absorb the right dose of nutrients. Water level sensor: Finally, the last sensor tells you when your plants need water. All those sensors are connected to the Gartenzwerg mobile app (available on Android and IOS devices). This allows you to free your mind because the app notifies you when you need to do something. With this device “it doesn’t matter how much space, time or knowledge you have, with Gartenzwerg it is easy, fun, accessible and affordable to grow your own food” Sabrina told us. Gartenzwerg provides three smart gardens, with different style so you can buy the one that sticks the most to your home design. All of the smart gardens are provided with a one-year warranty. The aim of Gartenzwerg is to promote gardening and to get more people doing it, even those who don’t consider it possible because of their lifestyle. This innovation could change the way we consume and buy food in the next decades. They don’t have the space to do it (garden or balconies). They don’t have the time to do it. They don’t even know how to do it. Nowadays more and more people are concerned about what’s on their plates than trying to grow their own food. This is good because you never really know what you are buying when you go shopping in a big brand shop. The dream of this company is that the fact of having a smart indoor garden would become as normal as having a fridge in your kitchen. However, the development of smart hydroponic garden could kill the essence of gardening which was at the beginning: the relationship between humans and nature. If everything is automated and connected, humans don’t have to do anything anymore.